This volume evaluates the dual roles of war and modernity in the transformation of twentieth-century Chinese identity. The contributors, all leading researchers, argue that war, no less than revolution, deserves attention as a major force in the making of twentieth-century Chinese history. Further, they show that modernity in material culture and changes in intellectual consciousness should serve as twin foci of a new wave of scholarly analysis. 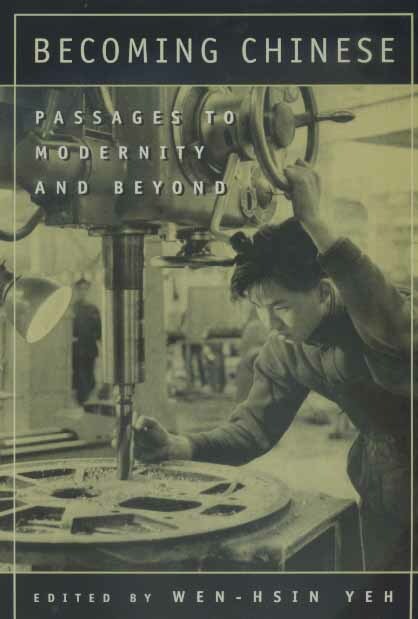 Examining in particular the rise of modern Chinese cities and the making of the Chinese nation-state, the contributors to this interdisciplinary volume of cultural history provide new ways of thinking about China's modern transformation up to the 1950s. Taken together, the essays demonstrate that the combined effect of a modernizing state and an industrializing economy weakened the Chinese bourgeoisie and undercut the individual's quest for autonomy. Drawing upon new archival sources, these theoretically informed, thoroughly revisionist essays focus on topics such as Western-inspired modernity, urban cosmopolitanism, consumer culture, gender relationships, interchanges between city and countryside, and the growing impact of the state on the lives of individuals. The volume makes an important contribution toward a postsocialist understanding of twentieth-century China. Wen-hsin Yeh is Professor of History and Chair of the Center for Chinese Studies at the University of California, Berkeley. She is the author of The Alienated Academy: Culture and Politics in Republican China, 1919-1937 (1990) and Provincial Passages: Culture, Space, and the Origins of Chinese Communism (California, 1996).